October 5th, 2015. Popular media website KAI-YOU reports that Taiki, character designer for the 2016 Vita game Digimon World -next 0rder-, will be included in the upcoming ILLUSTRATION 2016 artbook featuring the works of illustrators from around the world. Taiki's works will appear near the end of the artbook, which includes the works of 150 total artists. A followup to ILLUSTRATION 2014 and 2015, ILLUSTRATION 2016 will also feature a special interview with Taiki on his most recent works in the industry. 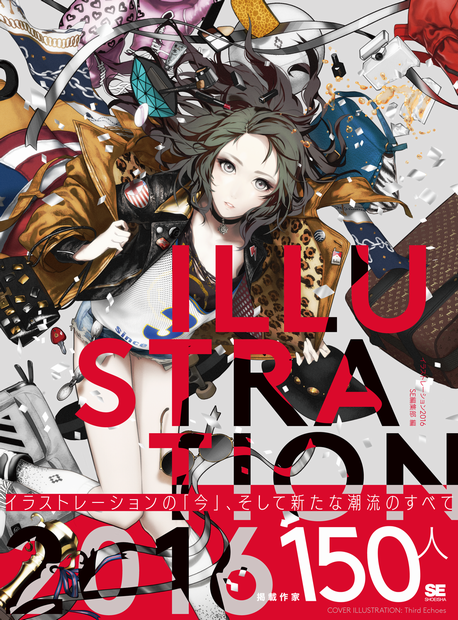 As ILLUSTRATION 2016 primarily focuses on the original works of the illustrators, whether -next 0rder-'s character art will be featured in the artbook at all remains to be seen. Taiki was previously interviewed about Digimon for Weekly Famitsu magazine, where he discussed how he first encountered the franchise nearly twenty years prior. ILLUSTRATION 2016 will go on sale in Japan this year on November 5th for 3024 yen (approx. $25 US).